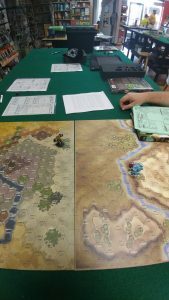 I recently took to the table again, this time with the trusty forces of Clan Ghost Bear. ProbableKoz and I decided that we wanted a bigger Alpha Strike battle, so we each dropped 750 PV on the table. 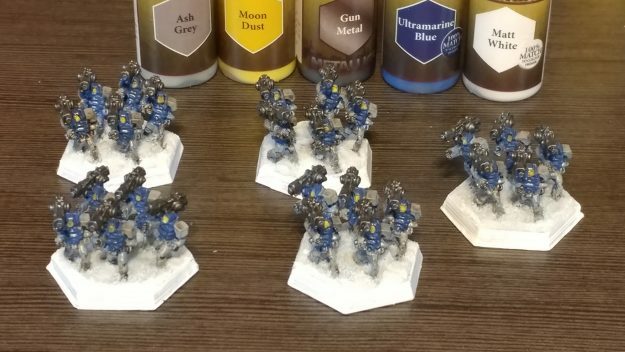 Having just completed my first battle armor project for the Year of Battle Armor, I wanted to bring along the Corona Heavy Battle Armor and give them a trial by fire on the tabletop. Because of the nature of how this battle was covered, I’m going to change up a bit about how I’m covering this one. I’ll share some pictures below to show off the action and talk about what’s going on, but we actually recorded this battle! ProbableKoz did a full on Battle Report over on his YouTube Channel. I highly recommend heading over to his channel to check out his take on the action. 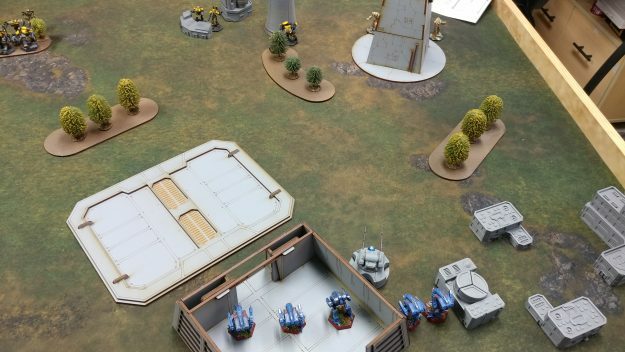 Watch ProbableKoz’s Battle Report for this game! Rasalhague Dominion forces deployed heavy to the left flank, with the bulk of the Mercenary forces congregating in the trees across the field. 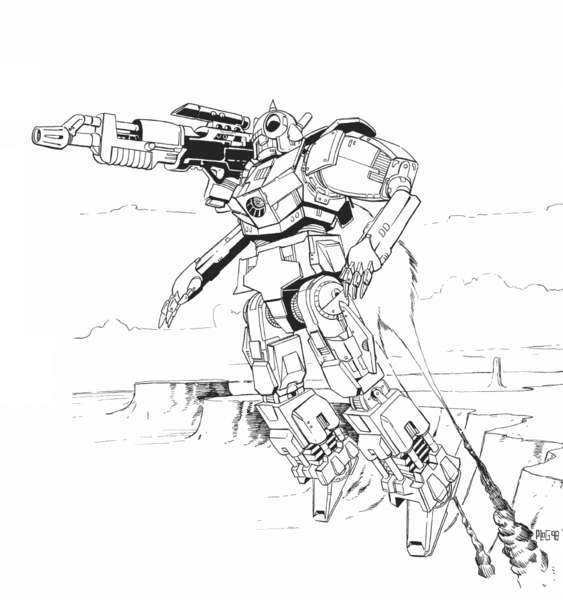 The Mercenary “Ost Lance” and other elements took positions near the power plant while the Ghost Bear Fire Support Star mobilized from the `Mech hangar. Fore Moths and Vipers (carrying Battle Armor) advanced deep into the Mercenary flanks, preparing for a lightning strike, while the Ghost Bear Battle Star moved in to engage the Mercenaries. 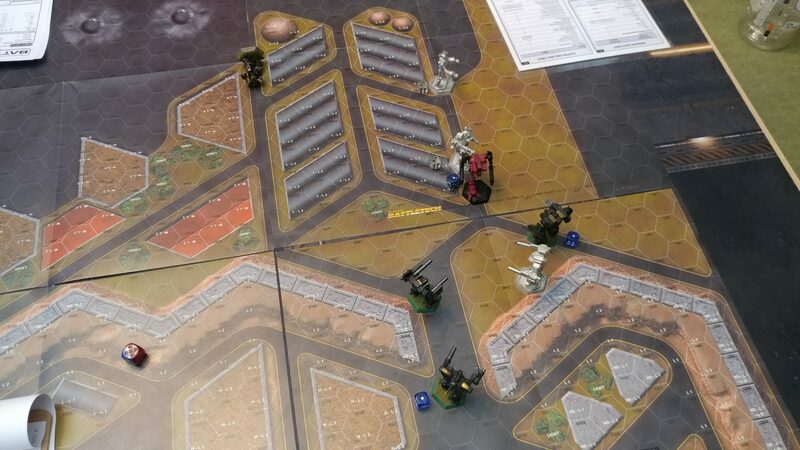 Mercenary forces moved up to gain firing positions on the Ghost Bears attempting to leave the hangar. 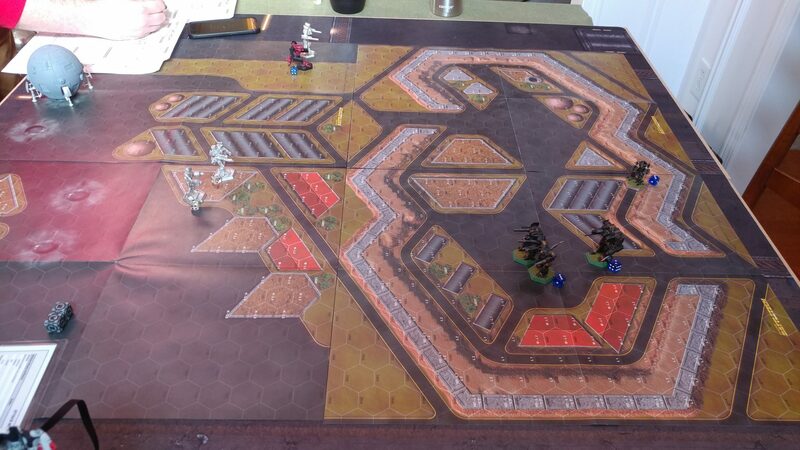 Then the Ghost Bears put their plane into action, deploying Battle Armor units at close range. Off the other side of the table, the battle for control of the hangar intensifies. Neither side gives ground. ERROR – Battlefield Surveillance Data Missing – Suspect possible data breach. Reporting incident to MIMIR and Watch Field Stations for analysis. Basically, there is a whole turn of the game missing from my picture records. To find out what happened that turn, ProbableKoz’s video is a great resource. 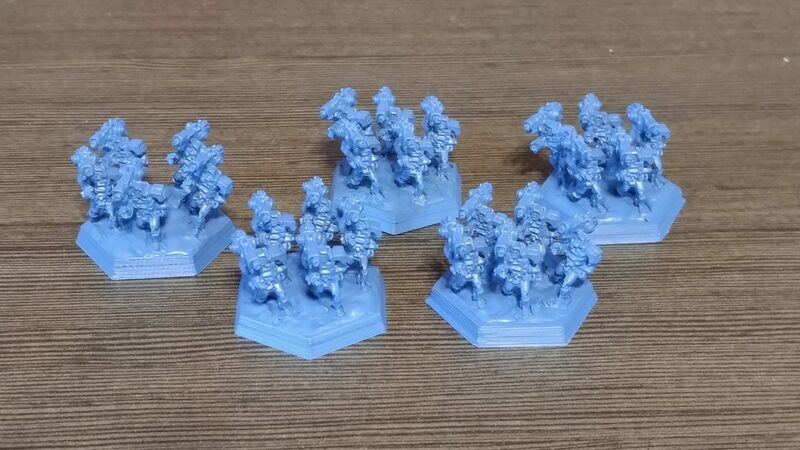 Having cleaned up the Mercenary threat on the left flank, the Ghost Bears move in to route the remaining Mercenaries. 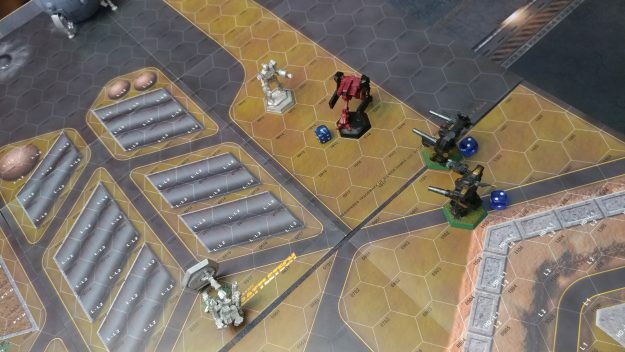 While having lost the entire Battle Star, one Mech from the Fire Support Lance, and a few units of Battle Armor, the Ghost Bears had managed to reduce the Mercenary forces to just two BattleMechs. 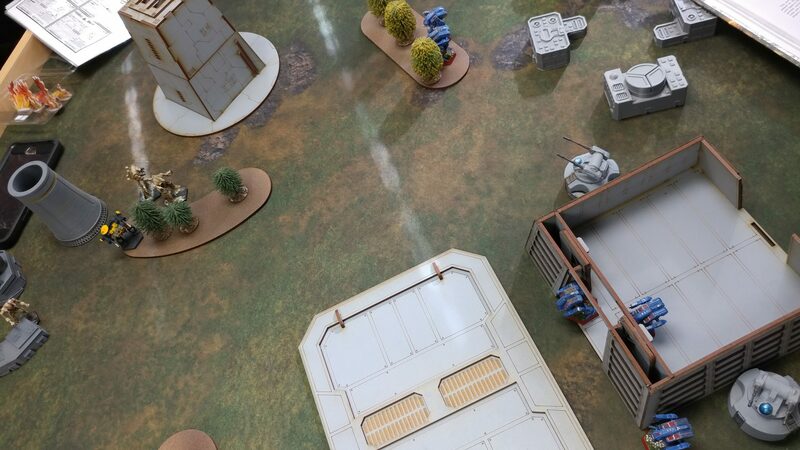 The Mercenaries decided it was time to leave and sped off the table, back to their DropShip. The Mercenaries picked the wrong day to poke the bear, and they paid for it. While losses on the Dominion side were not insignificant, the Mercenary force just couldn’t handle the rate of loss subjected from the Ghost Bears. As for the Corona Battle Armor, it served its purpose well, and a couple of the units actually survived the reprisal attacks from their hammer strike style deployment. The Corona that was able to attack at Short Range really messed up the Mercenary plan by applying extra Heat to the Mechs they hit. As always, ProbableKoz was a great opponent, and I think this loss galvanized him to come back stronger in the future. The Dominion will be waiting. 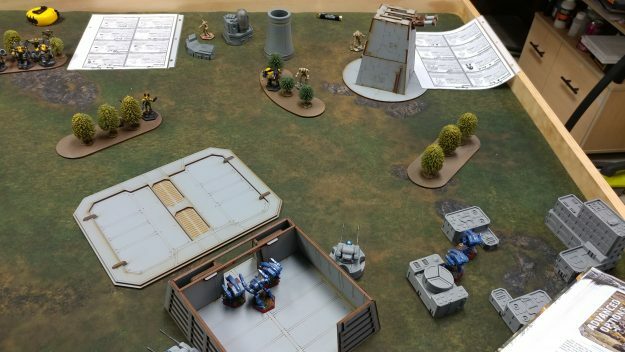 This entry was posted in Battle Reports and tagged Alpha Strike, Battle Report, BattleTech, Clan Ghost Bear, Corona Battle Armor, Mercenaries, ProbableKoz on 2018/03/14 by Dave Martin. This year brings with it new gaming goals and challenges. One of the chief goals that I have set for myself is to properly chronicle and record every game of BattleTech and Alpha Strike that I play on the tabletop this year right here on Sarna. On December 31, 2018, I want to look back at all of the articles and games recorded and see a big year of gaming and fun times with friends. 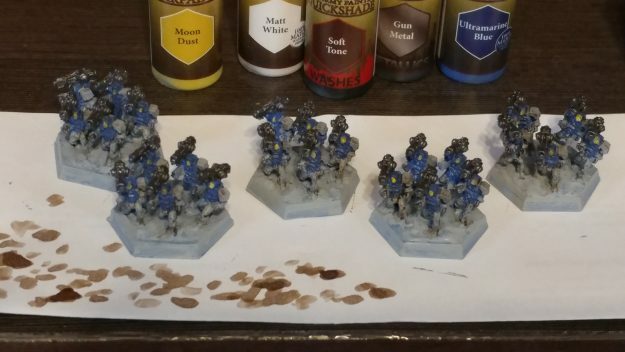 With this first battle report of 2018, I begin my story. And so, I set about pulling together a game. Before I get to the Battle Report, let’s take a look at the forces. 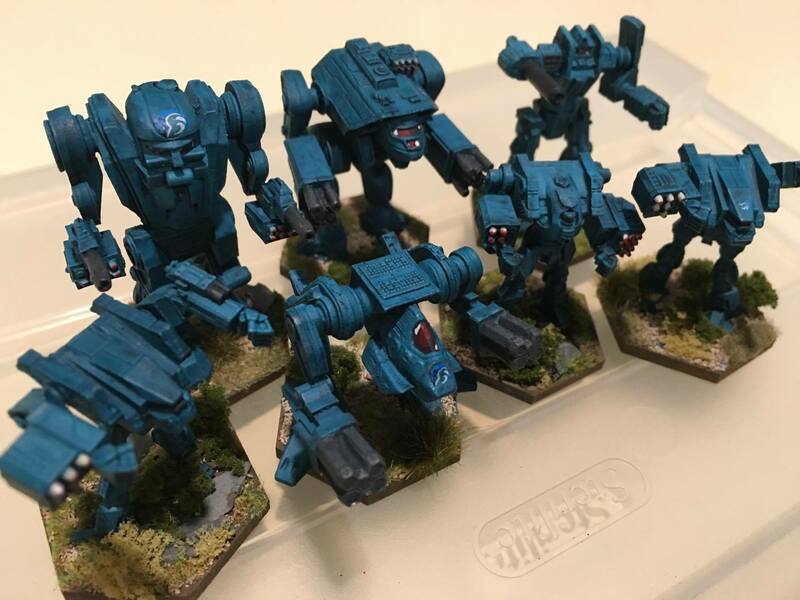 I used what’s become my default Lance from my Republic forces while my opponent wanted to take a stroll down memory lane with some well-known BattleMech chassis. 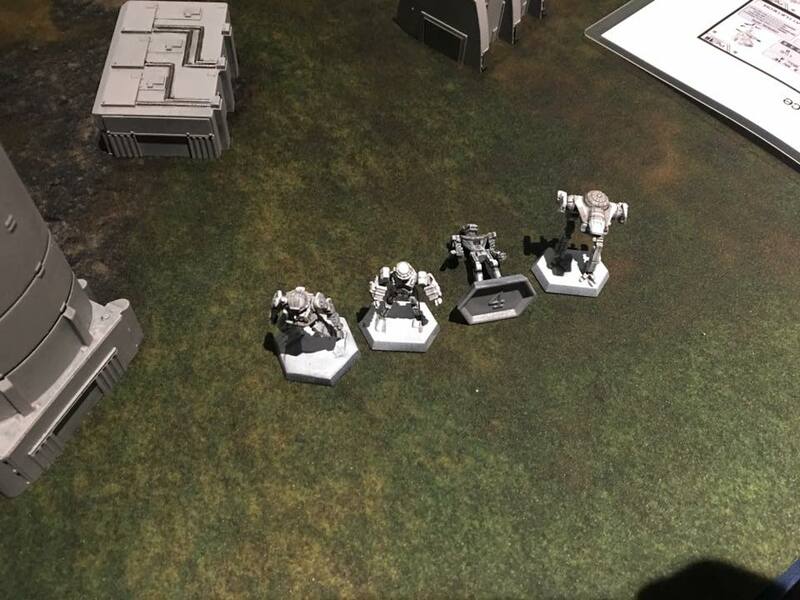 We decided to keep things simple by just choosing `Mechs and taking all 3/4 pilots. The BV2 had a slight skew when I went to look at it later, but the game was interesting in spite of (or because of?) it. 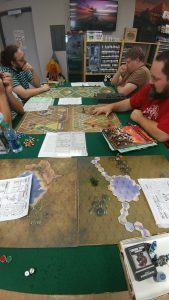 After deciding on the maps we would use, we wanted to come up with at least a basic scenario that would make it feel like we were doing more than lining up and shooting. 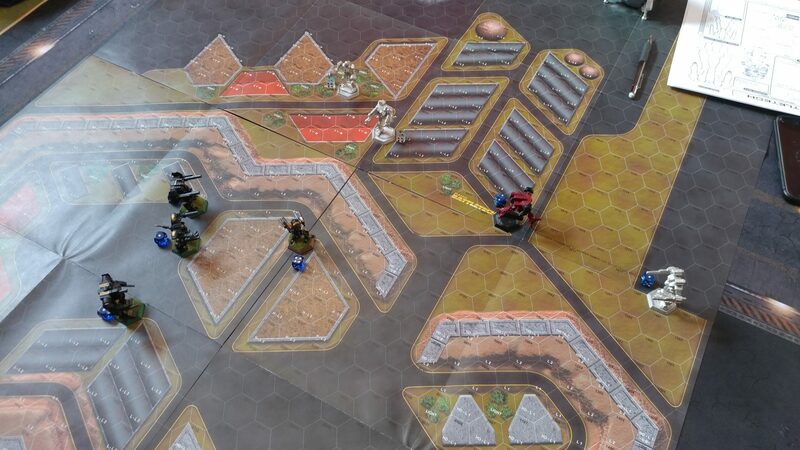 We decided on an escape mission, with the Attacker trying to get one `Mech to the DropShip. I rolled and won choice, and I set up as the Attacker. 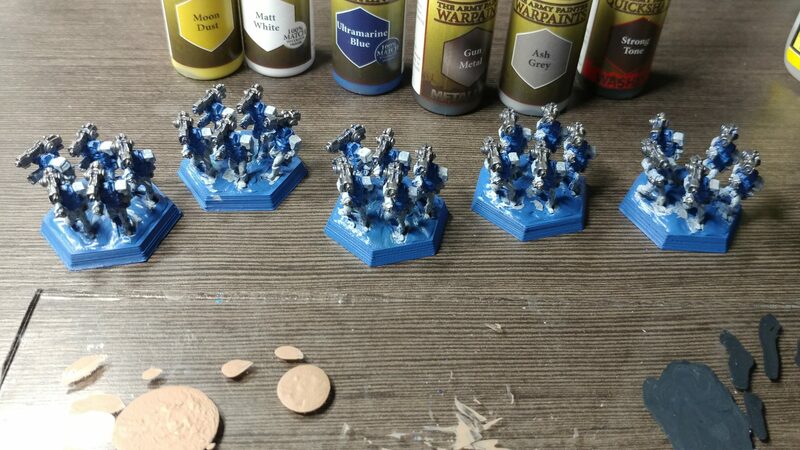 The Hastati Sentinels set up to make their way to the DropShip. 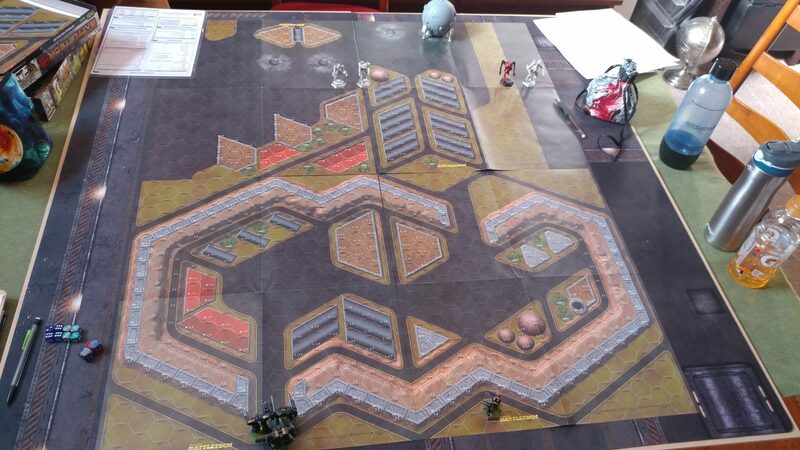 The opening round saw Initiative go to the FWL, as the Hastati Sentinels moved into the base section of the map. 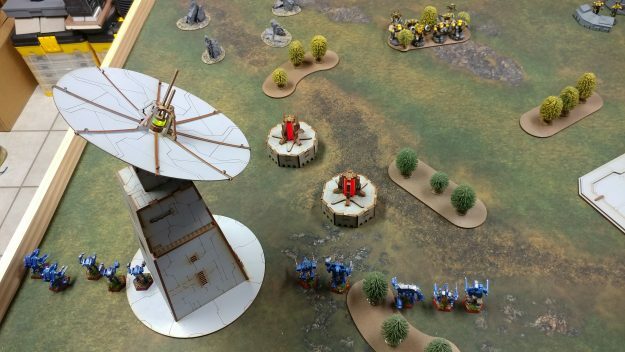 The FWL `Mechs broke into teams of two, with the Thunderbold and Crusader exchanging ineffective fire with the main Hastati group. The Hastati Sentinels exchange ineffective fire with the FWL Mechs in Round One. Seizing the Initiative, the Hastati move forward into the base and begin the setup for their breakout moves. 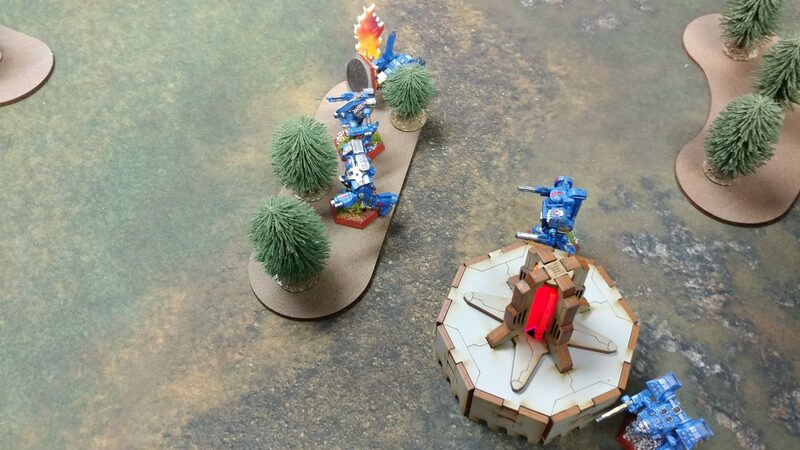 No fire is exchanged this round as the FWL `Mechs move to cover as many angles as possible. The Hastati and FWL `Mechs hope to outmaneuver the other team in a round of no shots. Keeping the Initiative, the Hastati Sentinels pause to regroup, in yet another round of no shots fired. 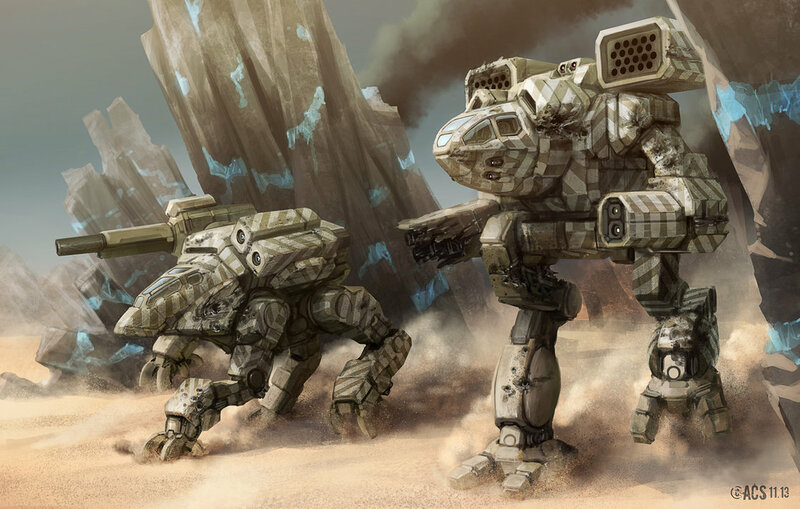 The FWL `Mechs, sensing a ruse, move to press into the base should the Hastati be up to something sneaky. 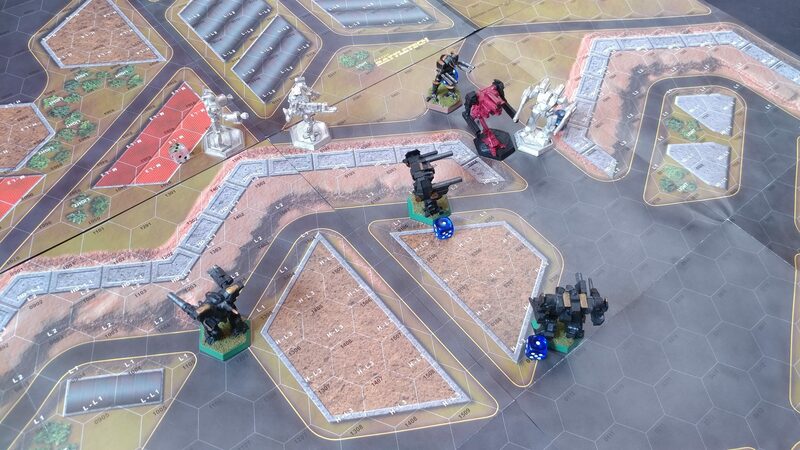 The tension is high as `Mechs on all sides seek an advantageous position. Regaining the Initiative, the FWL is able to respond to a high stakes gambit employed by the Hastati, the Republic forces send the Havoc over the wall and try to throw the FWL forces off balance. The Doloire is able to help add to the maelstrom and the Lament and Prefect are caught trying to prevent the Thunderbolt and Crusader from vaulting the wall. The result is mixed for both teams, with the Marauder and Havoc both taking heavy fire from enemy units. The Hastati win back Initiative and push all-out, with the Havoc making a break for the DropShip, and the mission objective. The other Republic `Mechs move into support positions to attempt to cover their smaller friend’s run. 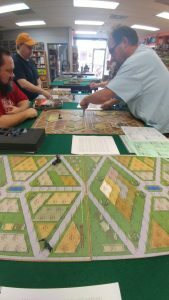 The Lament and Doloire attempt to cripple the Warhammer that stands in their way, while the Prefect savages the Thunderbolt that has turned to give chase to the Havoc. Somehow, the already badly damaged, yet operational, Havoc avoids all incoming fire from the FWL Marauder. The Havoc makes a break for it. The Hastati retain Initiative and continue their push out towards the Drop Ship. Unfortunately, the paved roads are more of a hazard than the entire enemy team, and the Havoc careens into a Hardened Building at top speed. The damage is not favorable, leaving a side torso badly damaged and vital critical spots exposed. Fortunately for the Havoc, no enemy was able to take advantage of the calamity. 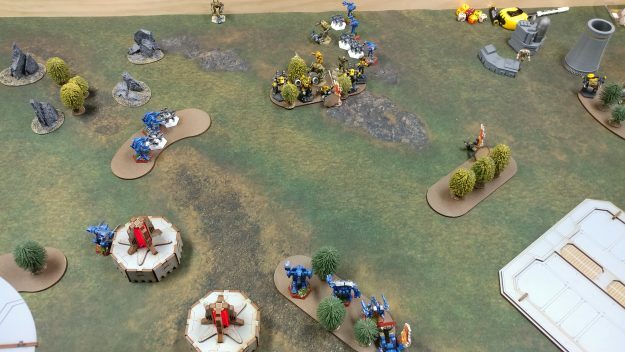 The FWL Warhammer was able to forestall the advancing Hastati heavy elements for a turn longer, refusing to go down despite taking a withering amount of incoming fire. With the Havoc down but not out, the Hastati continue to push the FWL `Mechs to try to gain a numbers advantage. Tragedy struck twice in a row for the Hastati Sentinels, as the Havoc was able to stand and make another break for the DropShip. However, fate was against the pilot that day, as one slippery patch of asphalt saw the Havoc taking another dive, landing on its already badly damaged torso, and crushing the XL Engine in the process. The Havoc was permanently out of the fight and unable to win it for the Hastati, making it a 4v3 in favor of the Free World League. 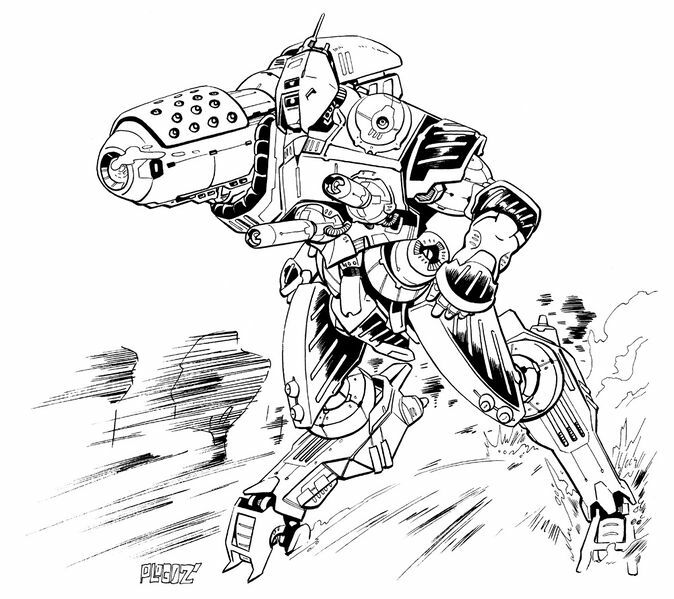 With the Havoc a non-issue, the FWL turned to attempt to down the biggest threat on the field, the deadly Doloire OmniMech. Havoc no more! Now outnumbered, the Hastati must defeat a numerically superior force. The Free Worlds League wins back the Initiative for the first time in four rounds and is able to press the numbers advantage into the Hastati Sentinels, making the Republic forces adopt a slightly defensive stance. 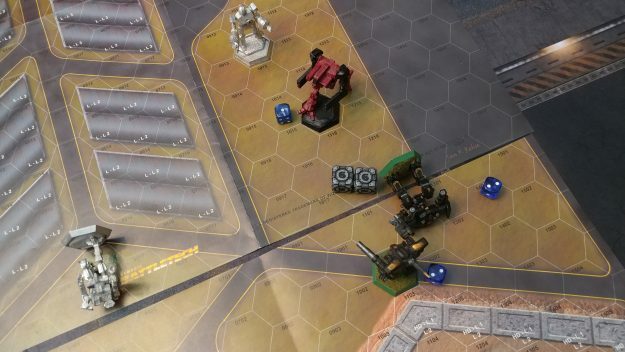 Despite a heroic last stand, the focus-fired Doloire is unable to withstand the amount of firepower coming from all directions, and it goes down in a ball of fire and laser blasts. 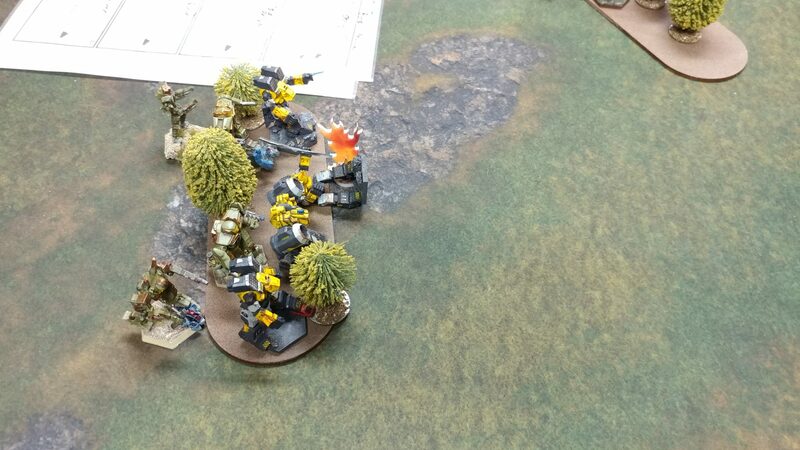 Trying not to make their companion’s sacrifice count for something, the Lament and Prefect are able to down both the Warhammer and Marauder, with the Warhammer‘s Center Torso completely vaporized by Heavy PPC fire. The Marauder, however, is not out of the fight just yet. The Warhammer finally falls, and the Doloire joins the Havoc as the Hastati Sentinels are now outnumbered 2v3. 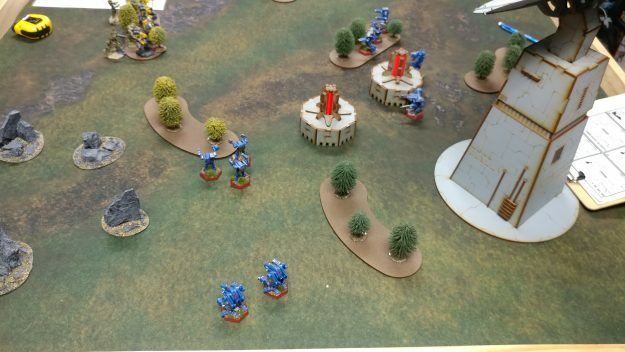 The Free Worlds League kept the initiative, but the Hastati Sentinels had no choice but to press the attack. Downing the Thunderbolt, the Prefect managed to help even the odds even as the Lament exchanged fire with both the Marauder and the Crusader. The Prefect manages to down the Thunderbolt as the Lament tries to finish off the Marauder. 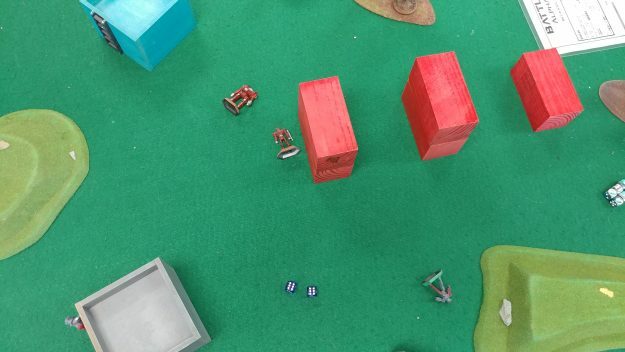 However, not all goes as planned for the Hastati Sentinels, as the combined return fire from the Marauder and Crusader score an unprecedented three head hits in a single round! The Lament sags to a stop as the pilot is dead in his cockpit. Well, what’s left of the pilot, anyway. Faced with the horrible reality that the rest of his Lance is out of the fight, the Prefect surrenders, and the Free Worlds League wins by preventing any of the Republic forces from reaching their DropShip. 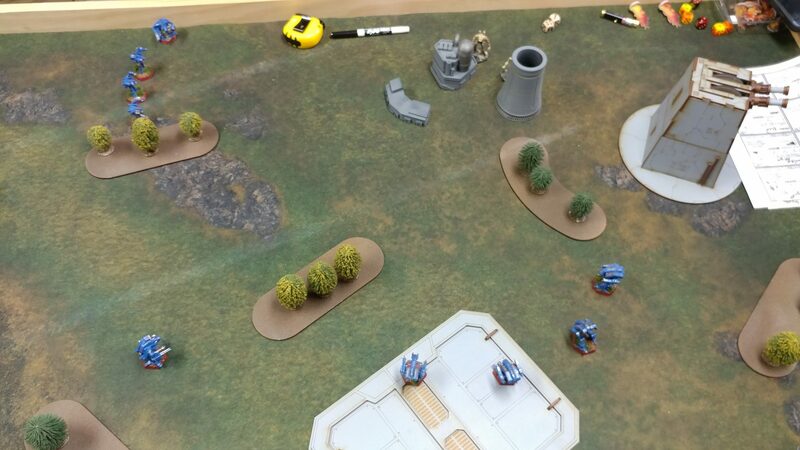 Alone on the battlefield, the Prefect surrenders to the Free World League Rabble. Some astute observers out there will notice that it was actually the Hastati Sentinels who had a distinct BV2 advantage in this matchup. Discussing the game afterward, we agreed that the turning point was obviously the three head hits on the Lament in a single turn of weapons fire. The Lament and Prefect had more than a fair chance of defeating the remaining FWL BattleMechs before that happened. There’s no telling what will happen when the dice start rolling, and this game is a great example of that. 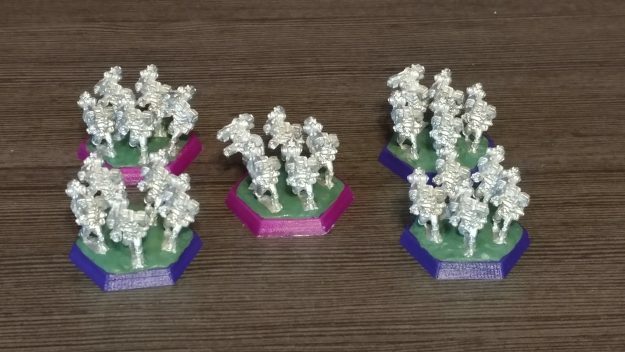 The Hastati Sentinels now have a new grudge to settle in future games, and hopefully, the Free Worlds League Rabble will have a paint scheme to show off for the next game. So that’s it for BattleTech action for now. 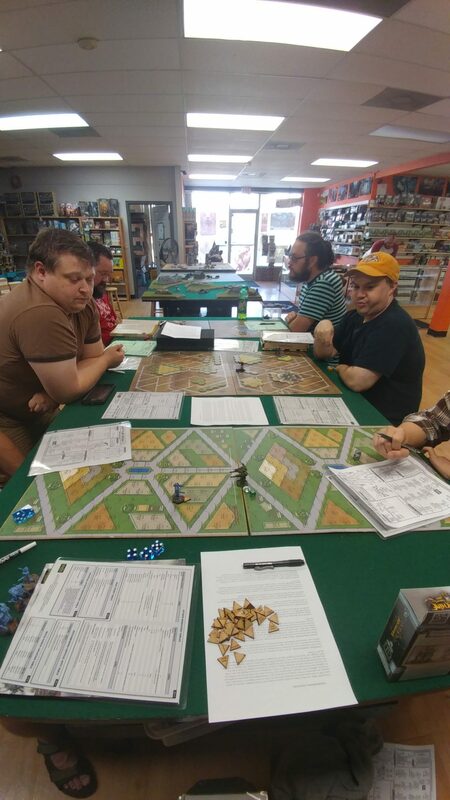 I can’t wait to hit the tabletop again and report on the next game. Until next time, MechWarriors, don’t forget that no fight is decided as long as dice can still be rolled! This entry was posted in Battle Reports and tagged Battle Report, BattleTech, Free Worlds League, Republic of the Sphere on 2018/02/01 by Dave Martin. At the time of writing, we’re already a couple of days into December, which means time is quickly running out to get some BattleTech related goodies for your gaming buddies, for your significant other, or hey, even for yourself! I’ve taken a bit of a look around, and here are a few good places to find some holiday BattleTech models and books that just might save the day and give the gift of heavy metal mayhem this holiday season. This is by no means an extensive list, meant to serve as just a general survey of what’s out there in this snapshot of time, and it’s pretty well skewed towards being primarily useful to those in the US and Canada. Just want you to be aware before diving in. 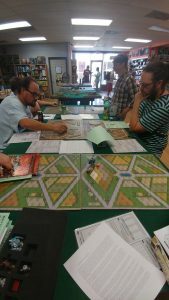 A word about FLGS’s and what they mean to the community. 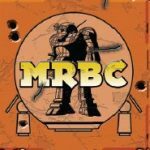 MechWarriors, if your LGS supports BattleTech by carrying product, please do all you can to do your buying and ordering through them. They are the ones who are taking the biggest chance by dedicating precious shelf space to the game we all love, and it’s important for us to make sure they know we appreciate it. 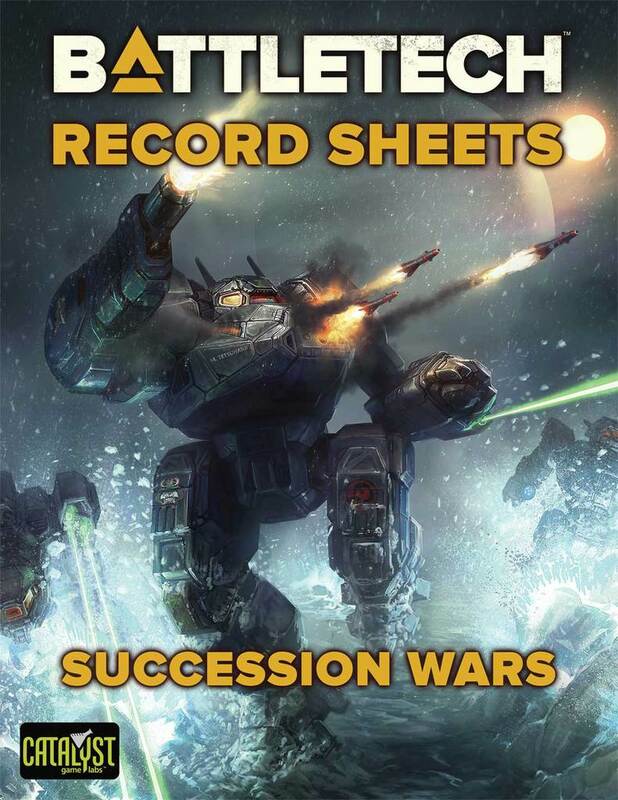 So please, before you order online, make sure to take a moment and confirm (it’s pretty easy for most of us, as I’m sure the majority already know, but it still has to be said) that you have no local sources for BattleTech models and books. You may just help save your favorite gaming space if you can source your gifts locally. Click on the logo pictures below to go to the relevant pages. One of the most popular of the online retailers that specializes mostly in BattleTech and Alpha Strike, Aries has a good relationship with Iron Wind Metals, so their catalog is fairly vast as far as selection is concerned. 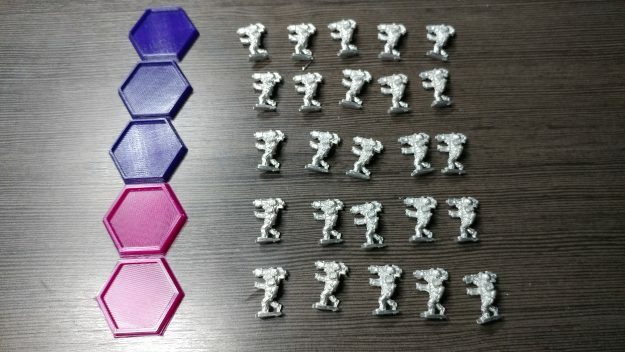 Of note at Aries is that they seem to have a good supple of the highly sought after Alpha Strike Lance Packs that feature 4 hard plastic BattleMechs in each pack. At a price of $7.99 per Lance Pack ($2 off of MSRP), these are a great deal and a quick way to buy a whole Lance, Company, or even a larger unit. Aries doesn’t stop there, either, as they have pretty much (I don’t think all of) most of IWM’s BattleTech Archive and bits catalog, too. There’s not much I can’t find at Aries, just poking around the site. 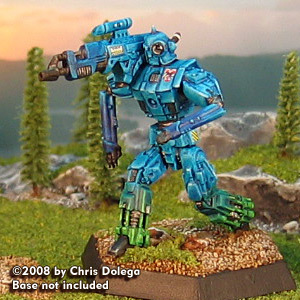 So if you’re looking for a one-stop shop for a gift of BattleTech models, Aries is likely your best bet. Though we’ve recently received some good news that the core rulebooks will see a reprinting, probably in 2018, many MechWarriors still need rulebooks now. From Total Warfare to Alpha Strike, some of these books are getting pretty tough to find. Here’s a few places I’ve seen with some of these books in stock. Also, most any place that has any BattleTech rulebooks will have some selection of models, but none of them are as extensive in selection as Aries. Alpha Strike, Combat Manual: Mercenaries, and the BattleMech Manual are among the books I’ve seen in stock with Game Nerdz. Not the biggest selection, but nobody has that at this point. Vik the Viking actually has a pretty good selection, but it is mostly TRO’s, Record Sheet books, and secondary game supplements, thought they do have both Alpha Strike and the Alpha Strike Companion in stock. This site has a good mix of game books and the Alpha Strike Lance Packs, though most items are in pretty low stock. But, if you’re looking for a place to pick up the Lance Packs and the Alpha Strike rulebooks in one place, this site is probably your one stop. It’s not too late to get your BattleTech buddies (and yourself!) 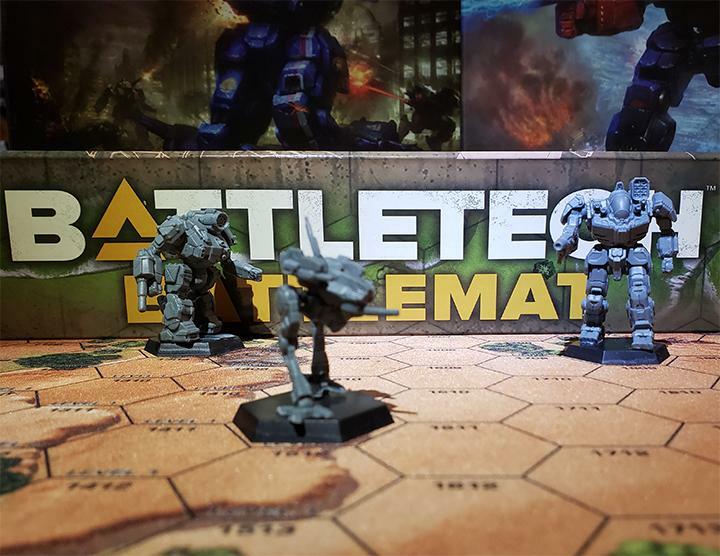 in on the BattleTech strategy game by Harebrained Schemes, coming out in 2018. I had a chance to talk to Jordan Weisman earlier this year at GenCon and try out the latest of the game updates as of that time, and wow! was it awesome a few months ago. Since then, the multi-player beta has officially launched, and details are coming out on a regular basis about the game’s campaign mode and story line. 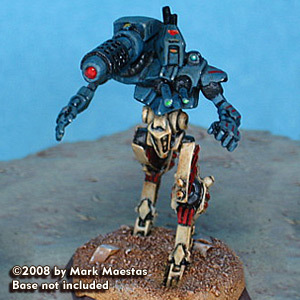 This is one BattleTech game no Mech fan should miss for any reason. If your MechWarrior plays MWO, then don’t overlook the possibility of getting them a gift code for a brand new, shiny Mech Pack. 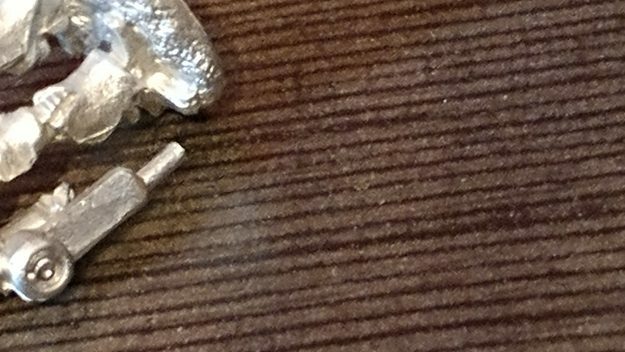 Thought it’s not a physical product, if your givee enjoys the digital Mech action, then the MWO Gift Store is a prime place to look for an opportunity. You get the Gift Codes through your email when you buy them, and you can forward them on to your favorite MechWarriors at the proper time. There are lot of options here, far too many to list. 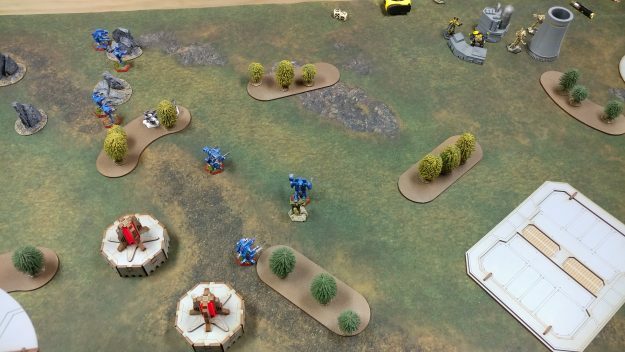 Good scale terrain for BattleTech has become more accessible over the past year or so, especially if your MechWarrior is into 3D printing, or knows someone who is. One pretty awesome new source for 3D printed terrain files is actually a well-known site for digital gaming supplies, DriveThruRPG. 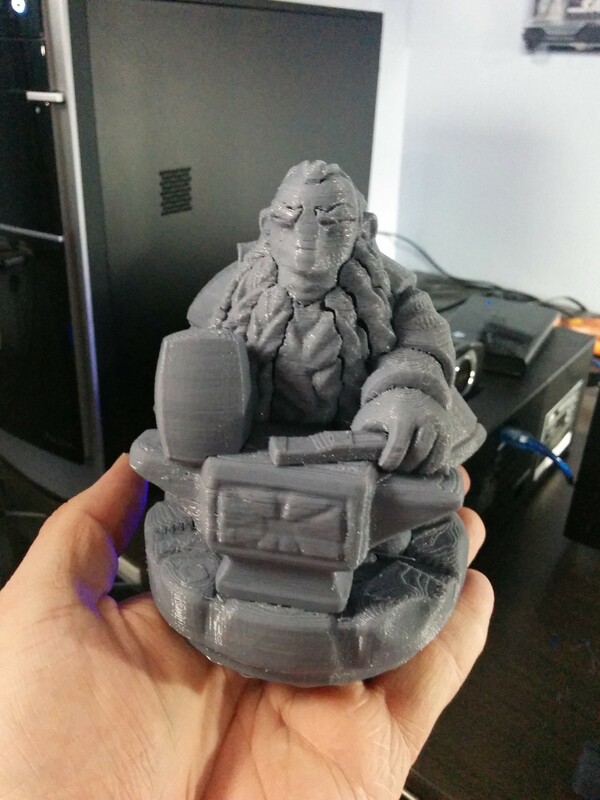 There’s some great stuff available there for gamers who are already into, or are getting into, 3D printing. 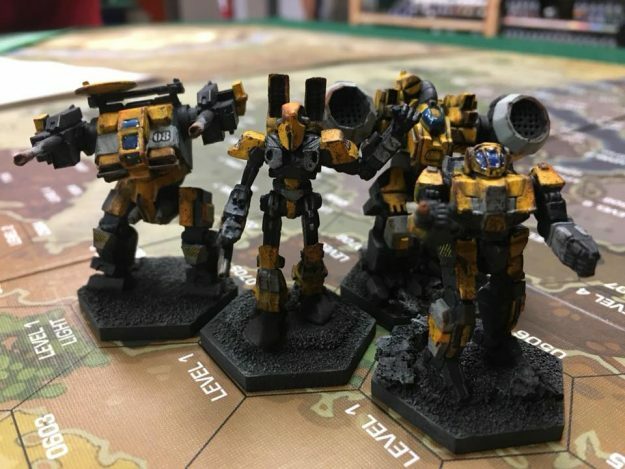 Wherever you get your BattleTech related gifts, I hope that you all have a great holiday season playing and enjoying the game and the hobby that we all love. Spread the joy, and always keep a light trigger finger. 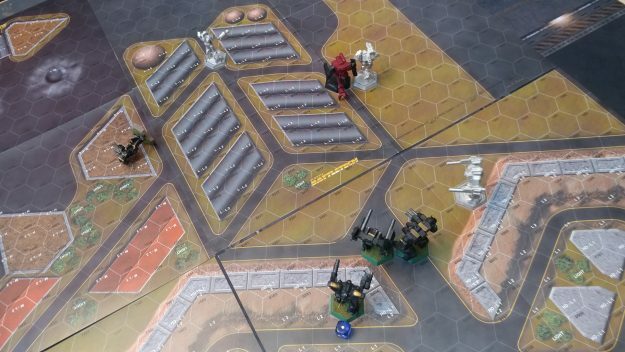 This entry was posted in Community and tagged 2017 Gift Guide, Alpha Strike, BattleTech, Lance Packs on 2017/12/08 by Dave Martin. Back on November 4th (just shy of five weeks ago at the time of writing) six Middle Tennessee area MechWarriors descended on one location to fight it out in a series of matches that would determine who was worth of the title “Gunslinger”. With the gracious hosting of The Game Cave in Hermitage, TN, I was able to organize the tournament and invite the Middle TN group to have it out in a series of four 1v1 matches, each at a different weight class. I further upped the stakes by adding environmental conditions into the mix, much to the groans and mixed chuckles of all of the participants. A link to the full rules for the tournament is HERE. There was some prize support present as well. The prize support for the Fall Classic. 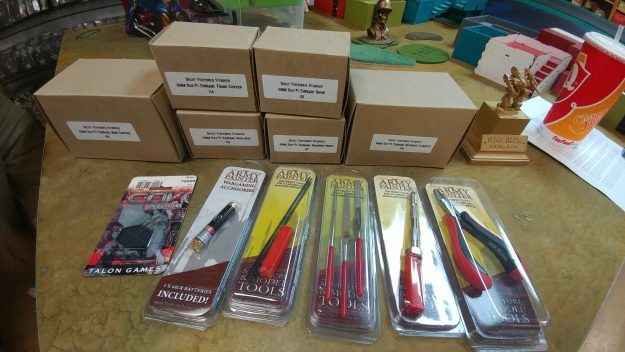 Modeling tools (provided by the Wargamers’ Reunion), 3D printed 6mm terrain (provided by Dicey Ventures), and even a CAV model (given to the lowest ranked player at the end of the day) were among the prizes. Also, there was one prize above all, seen to the far right of the picture (No! Not the DQ cup!). I speak, of course, of The Gold Malice Gunslinger Trophy! 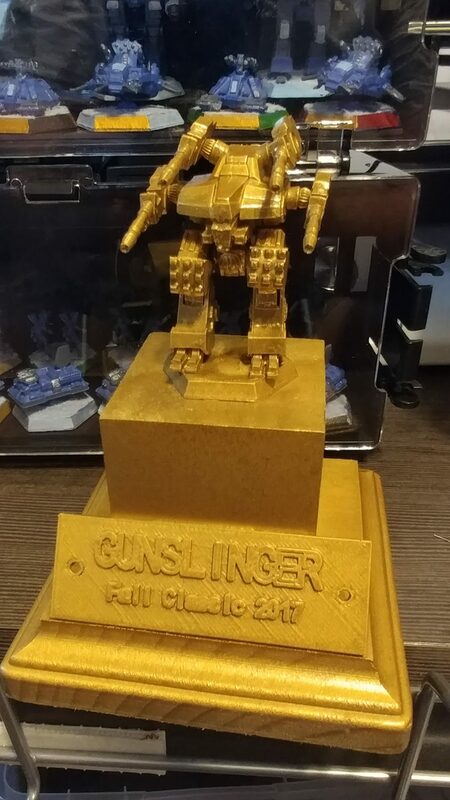 The legendary and much sought Golden Malice trophy went to the winner, along with the title “Gunslinger”! Here are some shots of the hex map action from the 4 Rounds of the Fall Classic. 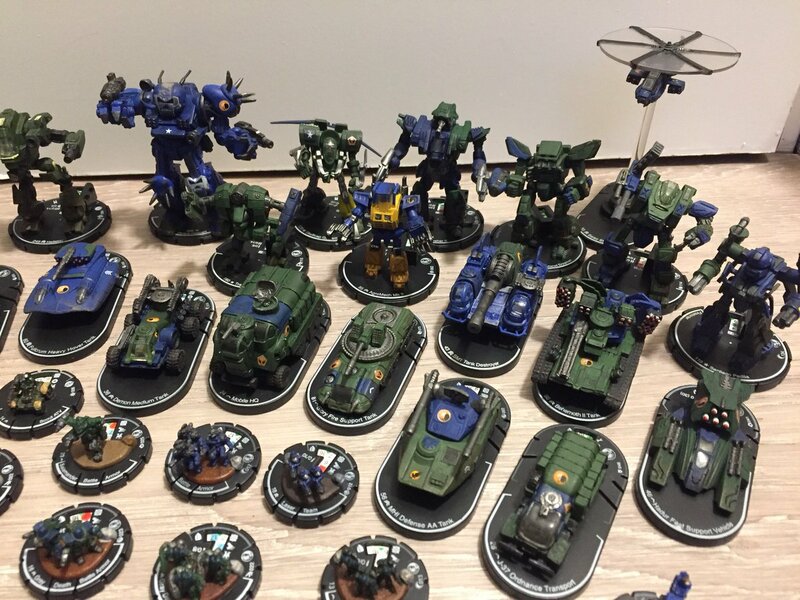 Josh Koziura (ProbableKoz on YouTube) took home the Best Painted award with his Mercenaries! This was my first tournament as a Catalyst Demo Team Agent, and while there are definitely things I would have like to change (like not bumbling through a couple of rules calls), it was still a great first start to getting more regular stuff planned, not only tournaments, but also special events. After the first of the year, the next step is to organize an Alpha Strike event, and then to get ready to defend my Championship Belt at T-N-T 2018. 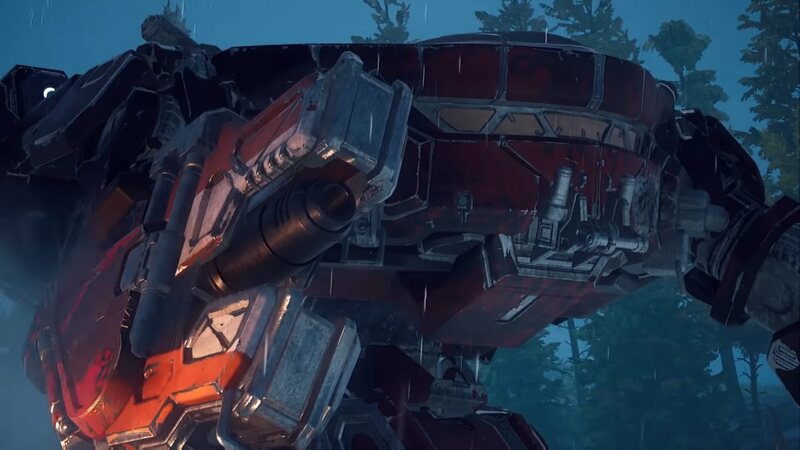 There’s so much more exciting BattleTech ahead, `Mech fans! 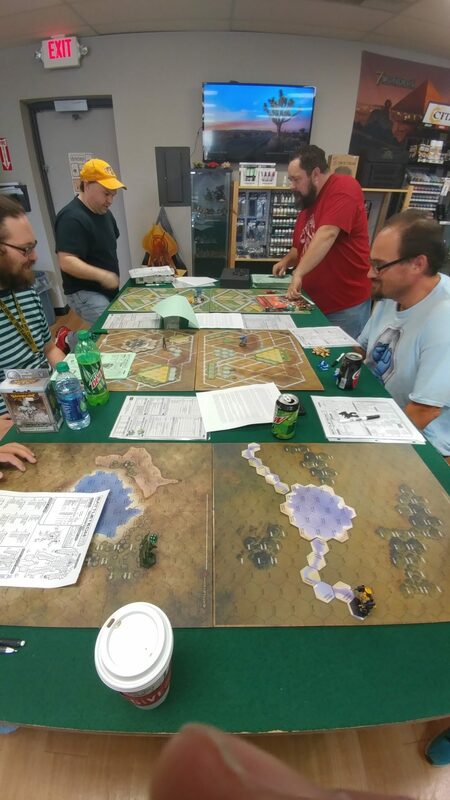 This entry was posted in Battle Reports, Community and tagged BattleTech, Tournament on 2017/12/04 by Dave Martin. So yeah, this one is coming is pretty late. I do apologize to the readers out there. After GenCon got really hectic for me professionally, and, well, it is what it is. At this point, the game has progressed a bit past the improvements of the then new patch that Jordan and I discussed, so I’m going to re-tool my original interview to be my impressions of the interview and of Jordan and what we talked about. GenCon 50 has come and gone. Wow. I have to pause and let that sink in every year. I spend the better part of six to eight months in a year planning for and making sure that I get everything in my professional and personal life squared away in order to make sure I can make it to GenCon. Now, that’s not to say that I do so at the peril of myself or those around me. No, GenCon is for me that one time of year when I don’t have to explain anything about what I do professionally or for fun to anybody. Everyone there understands it. So I tend to make sure I can go. With the Post-GenCon Recovery Period (I swear it’s a thing!) still affecting some of us (mostly in the finance region), I need to take the time to share some key aspects of the experience. 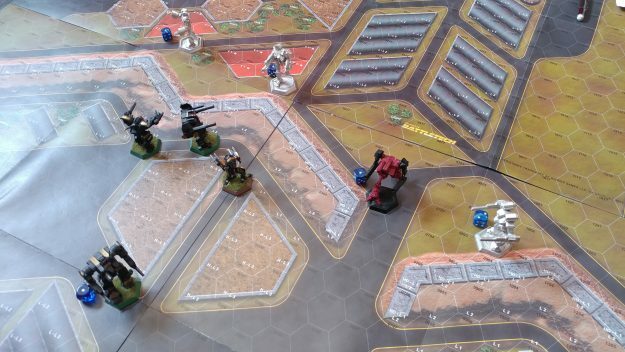 In particular, I want to share with you all the hour of time I spent talking to Jordan Weisman, creator of BattleTech and one of the heads of Harebrained Schemes, about the new computer game version of BattleTech. A note on how I am going to reflect on this time. My recording app malfunctioned during the actual interview portion, so I only have the notes that I took from the interview. As such, I won’t directly quote Weisman unless I wrote down his exact phrasing. First, BattleTech had a huge development release the day that I spoke to Weisman. They had just released the first multi-player backer beta build for the game, so the Harebrained booth was abuzz with fans playing the new version as well as many people standing around to watch the action on the screen, stand behind their friends, and just chat about BattleTech in general. I met Jordan Weisman a little before our interview, stopping by to verify the time, and he said he was looking forward to sitting down, playing a round of the new release, and then talking! 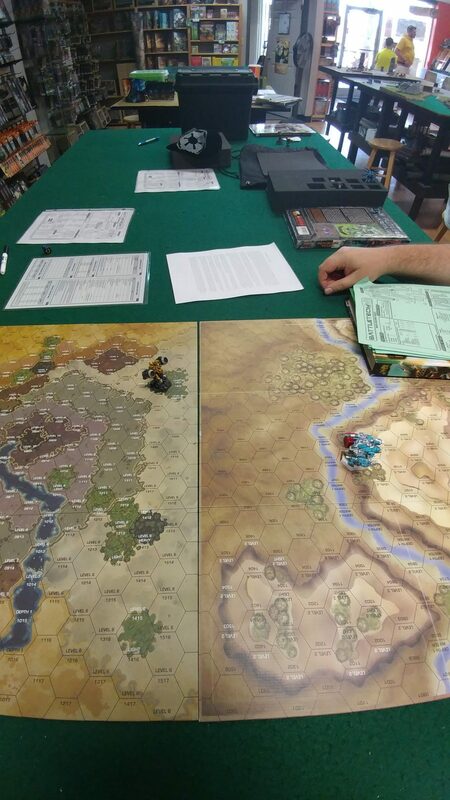 I was going to get to go head-to-head against Jordan Weisman in BATTLETECH?!!!! I was already excited about the interview itself, but finding out I’d get to actually play a game with Jordan Weisman was icing on an already delicious looking cake. So, the time came, and we sat down to play. 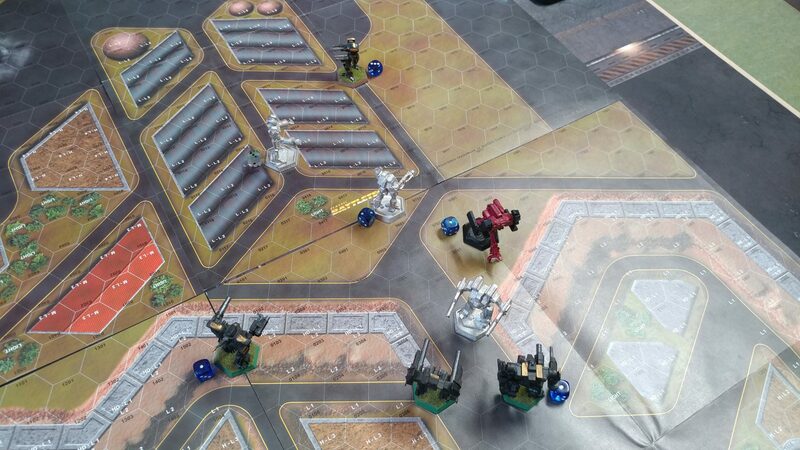 We selected out Mechs and dove on in. 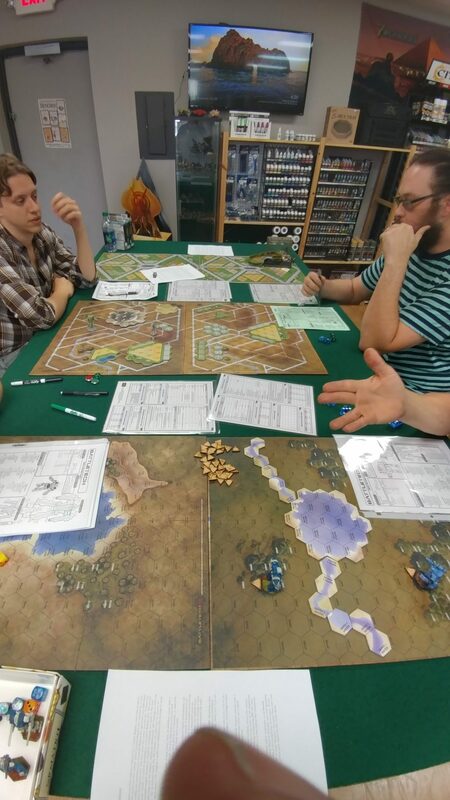 My experience with the BattleTech Beta at that point had been in the 10-12 hour range, so I knew I was at an extreme disadvantage going up against Weisman. 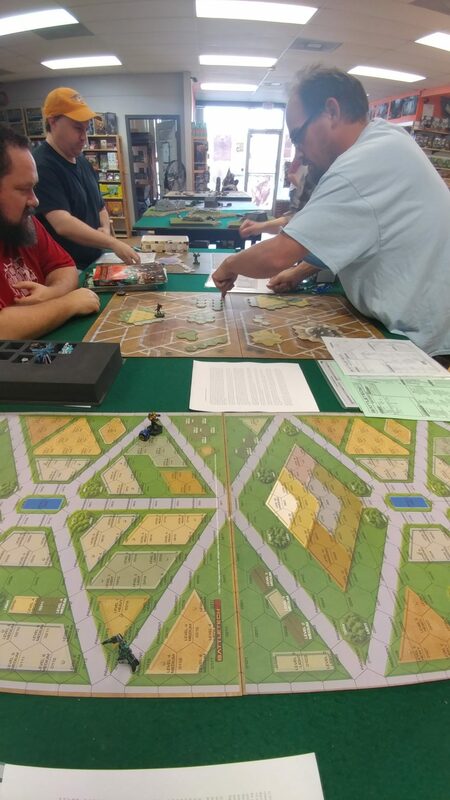 The following thirty minutes was a whirlwind of back and forth not-quite-trash-talking as I sent my Lance in hard and fast….straight into the wall of strategy and effective tactics that was Weisman’s way of war. My Lance got picked apart one `Mech at a time, and it was glorious! After his pyrrhic victory, Weisman humbly asked if I’d enjoyed it, and of course I did! Because I foolishly didn’t fanboy hard enough, I don’t have a selfie with Jordan Weisman for the article! This will have to do. Weisman is seen here showing off the Kickstarter flight jacket reward. So then we sat down and talked about the game, much of which is old news at this point. But the highlights that remain with me can be summed up in a few points. The BattleTech community is great, and Weisman and Harebrained love every bit of interaction they get with us. They live off of our energy, and then they give it right back us in the best ways possible. 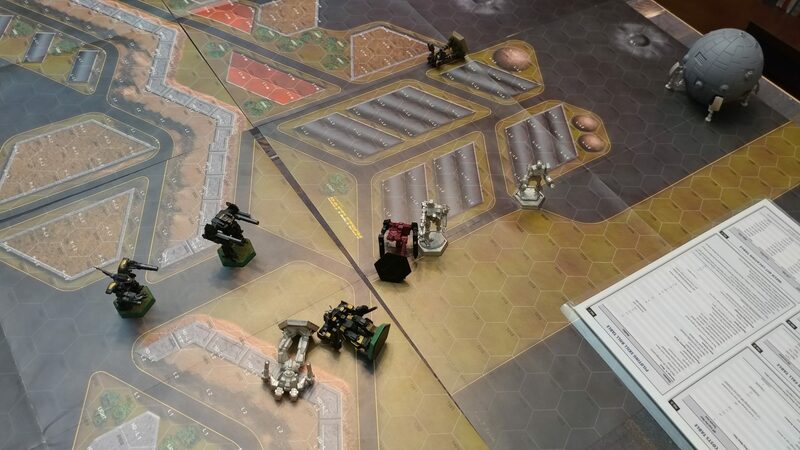 The next phase for Harebrained and BattleTech in general is what Weisman called “outreach,” continuing to get the word out, and the established community is a huge part of that. 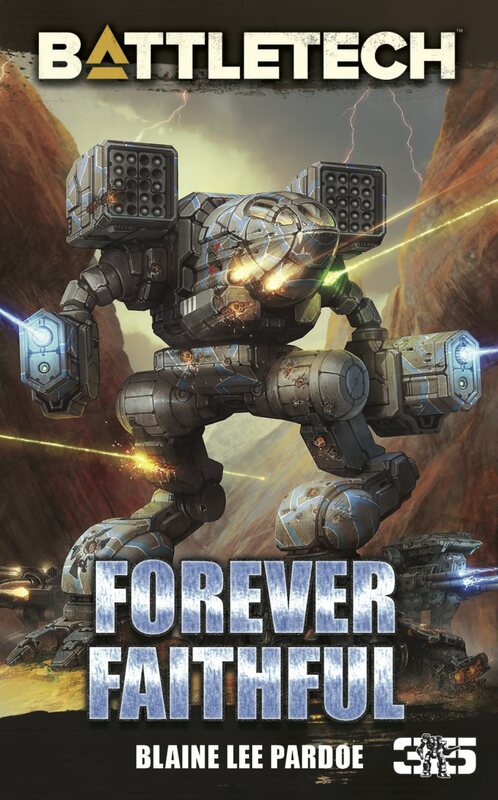 Harebrained want BattleTech to find every gamer and to read out beyond the pull it has now to get even bigger. Now that the core mechanics of the game itself are established, there’s still much more to do in the way of developing the story, lore, and the extended campaign. Even though we’re a couple of months down the road from when I spoke to Weisman, I know they’re still hammering away at making the campaign the best experience it can possibly be. 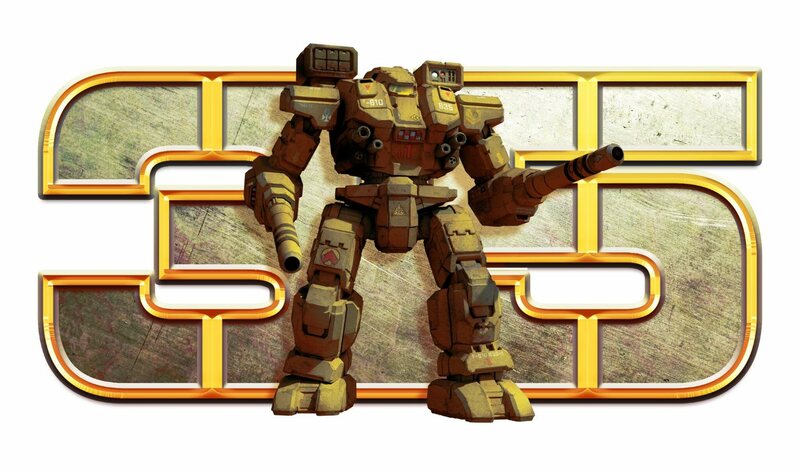 There is nowhere else that Weisman and his team would rather be than right where they, making BattleTech. They’re pumped up. They love our excitement for the game and universe, and they look forward to much more BattleTech in the future. For me, this short game and talk with Jordan Weisman will be one of only two or three stand-out moments from GenCon 50 that I know I will keep in my memory for many years to come. It’s not just a fanboy moment. I mean, yeah, it’s a little bit of that, but it’s also more. Jordan Weisman’s enthusiasm for BattleTech is amazing, and that really has kept me charged up for everything to do with the game(s), on the table and on the screen. Thank you to Jordan Weisman and Harebrained Schemes for working to bring us this amazing gaming experience in our favorite universe. We look forward to its release, and hope for more after it! 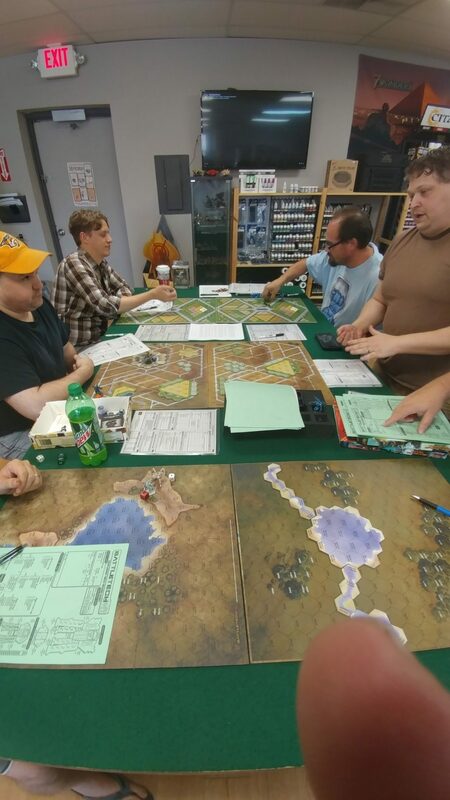 This entry was posted in BattleTech Game, Community, Interviews, Video Games and tagged BattleTech, GenCon, GenCon 50, Harebrained Schemes, Jordan Weisman on 2017/10/19 by Dave Martin.